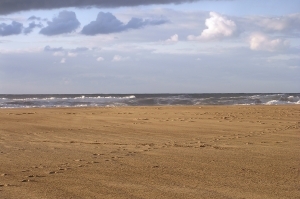 Ocean City is one of the state's most popular tourist destinations. Each year, thousands of beach goers from Maryland, Pennsylvania, Virginia, and Washington flock to enjoy the sand, waves, and nightlife of the city. It is actualyl a relatively small city considering that it is one of the few incorporated cities in Worcester County. It has a year round population of just over 7,000 residents, but in the summer months the city can host between 300 and 400 thousands people. Just as the population of tourists increases each year during the summer months in the city, so do the number of police officers. As an incorporated city, it maintains its own police department. The OC Police Department hires seasonal officers to deal with the increase in population, and all told the number of police officers in the summer is more than double the amount of officers in the off season. The City Police Department hires officers over the age of 21 to work the summer months, and many times these officers are not career law enforcement professionals. Seasonal police officers receive a fraction of the training that year round officers receive, and have a fraction of the experience. This is not a knock on the OC pd, but it is an inevitable result of a seasonal city that simply can not afford to maintain a year round police force built to protect and serve 300 thousand when only 7 thousand live in the city 8 months out of the year. A lack of experience and training often leads to unlawful arrests, and cases filled with improper police work. Each summer in OC, police make thousands of arrests for drug sale and drug possession cases. Common drugs that police make arrests for include marijuana, cocaine, ecstasy, and meth. Marijuana possession is the most common drug possession case in the beachfront city. Police also make hundreds of alcohol related arrests such as underage drinking each year, but marijuana arrests still outnumber drunk driving arrests. Other common crimes include assault and burglary. Criminal cases are typically heard in district court, and if you elect to have a jury trial, your case will be sent to the Circuit Court of Worcester County in Snow Hill. If you have been arrested for a drug crime, contact an Ocean City drug lawyer. Your arrest may be the result of illegal police work and the drug evidence in your case may be able to be suppressed. Our lawyers specialize in marijuana cases and handle all types of criminal cases. Call The Herbst Firm at 410-207-2598 today for a free consultation.